This Professional Light Air Grid Chair with Memory Foam offers just the right amount of functionality without obstructing comfort. Complete with built in Lumbar Support that is fully customizable and adapts to your frame whether small, medium or large. 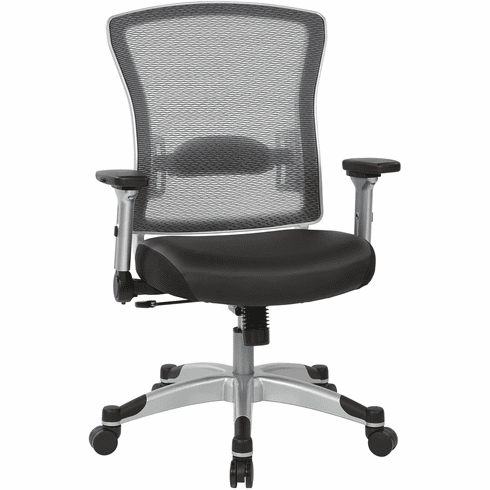 The breathable mesh back and eco leather seat with memory foam will keep you comfortable throughout the work day. The padded arms can be flipped down horizontally so they can be moved out of the way when needed.